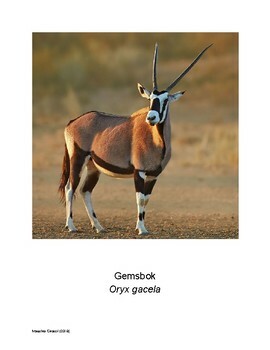 With this download, you will receive 11 animal wildlife cards. Each of these 11 animals are animals that are located in China near the great wall. 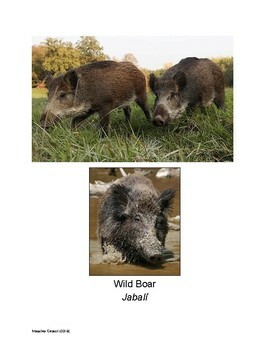 One side has pictures of the animal with the name in English and Spanish and the other side has data about each animal. 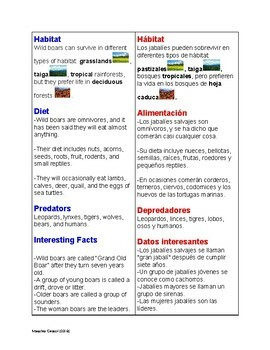 The data includes; habitat, diet, predators and interesting facts. They are written in English and Spanish. 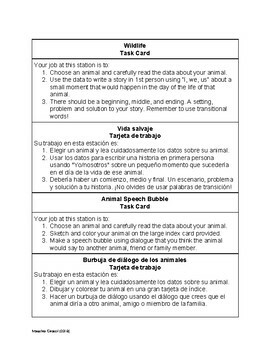 Two sets of task cards (Wildlife station:write a story in 1st person and Speech Bubble station: sketch and color an animal and create a speech bubble) are included that can be replicated for the stations. I personally cut out each task card and laminate it on a large index card, red for Spanish and blue for English. I also laminate all of the animal cards. Once my students finish all of the stations, I have them create a clay figure of the animal they used for the Speech Bubble station and paint it.